Happy New Year! Or should I say ‘Happy Tammikuu’, the rather evocative Finnish name for the month of January, meaning ‘the month of the heart of winter’ in that language. It is perhaps unsurprising that most of the names for January in the Northern Hemisphere countries have wintry associations, given that in this part of the world it is usually the coldest month of the year. 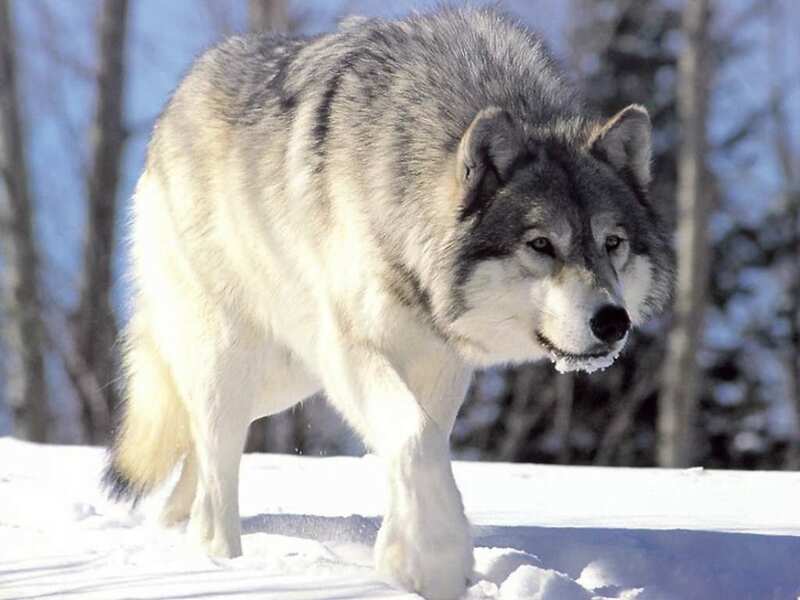 The name for this month among the Anglo-Saxons was Wulfmonath (‘Wolf month’), since it was the time of year when the wolves were unable to find food and their hunger made them bold enough to come into the villages of ancient Britain. The word January, however, comes from the Roman god Janus or Ianuarius, whose name is derived from the Latin word for door (ianua) – appropriately enough given that January is the door to the year. Janus is usually depicted as a two-faced god since he looks to both the future and the past and is the god of beginnings, transitions and endings. It is sometimes suggested, as a result of January’s association with the Classical god of doorways, that a number of New Year’s festivities are founded on pagan traditions. The mystical side of the New Year is given further weight by the variety of other names that the month of January has around the world – such as The Gate of New Beginnings, The Wolf Moon and the Coming of the Dark. Traditionally, the original Roman calendar consisted of 10 months, totalling 304 days, winter being considered a monthless period. Around 713 BC, the semi-mythical successor of Romulus, King Numa Pompilius, is supposed to have added the months of January and February, allowing the calendar to equal a standard lunar year of 365 days. In Classical mythology January was associated with the sun god Apollo and Aurora, goddess of the dawn, as well as with Janus, and the New Year was celebrated with festivities honouring all of these deities. But as Christianity spread, pagan holidays were either incorporated into the Christian calendar or abandoned altogether. By the early medieval period most of Christian Europe regarded Annunciation Day (March 25) as the beginning of the year. After William the Conqueror became King of England in 1066 that it was decreed that the English should return to the date established by the Roman pagans, i.e. the first of January. William’s innovation was eventually rejected and England rejoined the rest of Christendom in returning to celebrating New Year’s Day on March 25 until about the 16th century. It was only with the adoption of first the Julian and then the Gregorian calendars that January resumed its traditional place at the start of the year. Roman pagans observed the New Year by engaging in drunken orgies — a ritual they believed constituted a personal re-enacting of the chaotic world that existed before the cosmos was ordered by the gods. This was because Janus was sometimes equated with the Greek concept of Chaos, referring to the formless or void state preceding the creation of the universe, and in this sense was regarded as something more than a god. Janus was worshipped at the beginnings of the harvest and planting times, as well as marriages, deaths and other beginnings and endings. He was representative of the middle ground between barbarity and civilization, rural country and urban cities, and youth and adulthood. Having jurisdiction on beginnings Janus also had an intrinsic association with omens and auspices. The Romans believed that the beginning of anything was an omen for the whole. Thus on New Year’s Day it was customary to exchange cheerful words of good wishes. For the same reason, everybody also devoted a short time to their usual business, exchanged dates, figs and honey as a token of well-wishing and gifts of coins called strenae. Cakes made of spelt (far) and salt were offered to the god and burnt on the altar. As can be seen, an element of Classical tradition has survived into our own celebration of the New Year – drunken orgies, well-wishes and all! Blimey, I feel very well informed! I recall hearing a pragmatic reason for March being the beginning of the Roman new year: the coming of spring meant it was practical to mobilize armies.